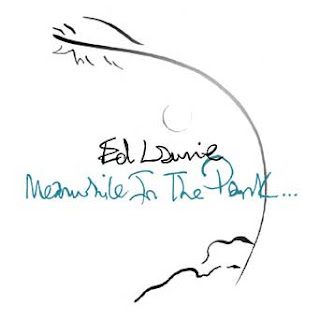 British singer/songwriter Ed Laurie released his digital debut album ‘Meanwhile In The Park’ on Dangerbird Records on the 23rd of September. Ed’s soothing warm voice and poetic lyrics are without doubt the central focus of this album with accompanying cellos, clarinets and Spanish guitars providing a sweet mellow sound. 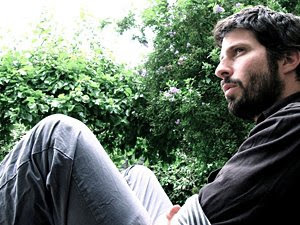 The songs have an almost folk story telling appeal taking you on an emotional journey, albeit haunting at times. If you like Leonard Cohen, Damien Rice and Jose Gonzalez, there’s a good chance you’ll like this album. Ed has crafted his own unique sound and it arrived in my inbox like a breath of fresh air. I haven’t heard anything as pure as this in a while. When did you begin singing? Where can we see you perform live over the next couple of months? Which song do enjoy performing the most? Where is your favourite music venue? If you enjoy 'Meanwhile in the Park' and want to hear more music from Ed you won't have to wait much longer. He recently announced plans to record a full-length record, 'Small Boat, Big Sea', later this year. Metronomy @ Rough Trade East...well nearly! Yes Mr Doorman, I'm A Lady! JamsBio - Song Blitz Mega Challenge!